Benjamin Franklin said: “in this world nothing can be said to be certain, except death and taxes.” Well, nowadays some people do manage to escape paying taxes but death—as far as we know anyway—still can’t be avoided. 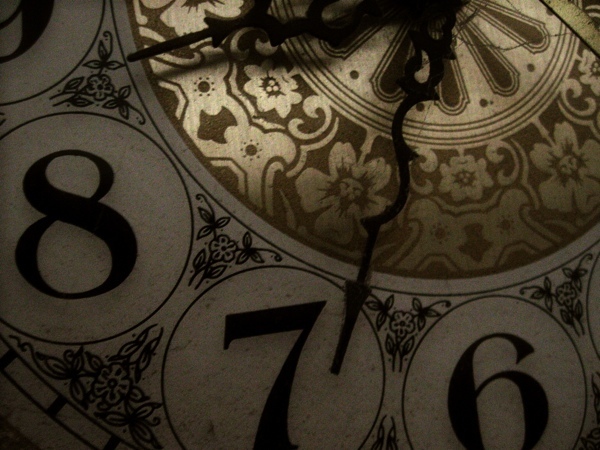 And no time period planned for, feared and yes, even celebrated death more than the Victorian age. With that said, here are ten fascinating facts about death in the Victorian era. Ever hear of death by corset? Well, according to the Dundee Courier of October 22, 1844, one Jane Goodwin, twenty-two, was sitting in church when she was suddenly taken ill and was carried out of the church to the sexton’s house. Unfortunately before her friends got to her however, she was already dead. Her cause of death?—her corset was too tightly laced. Other ways people died that were indicative of the times was scarlet fever, typhoid, cholera and for women, death by burns which was caused by a combination of open hearth cooking and the use of highly flammable fabrics in their clothes. It is bad luck to meet a funeral procession head on. If you see one approaching, turn around. If this is unavoidable, hold on to a button until the funeral cortege passes. If you smell roses when no one is around, someone is going to die. If a picture falls off a wall, there will be a death of someone you know. A single snowdrop growing in the garden foretells death. So attached were survivors to the memory of the deceased, that families would obsessively collect any reminder of the deceased that could be had. 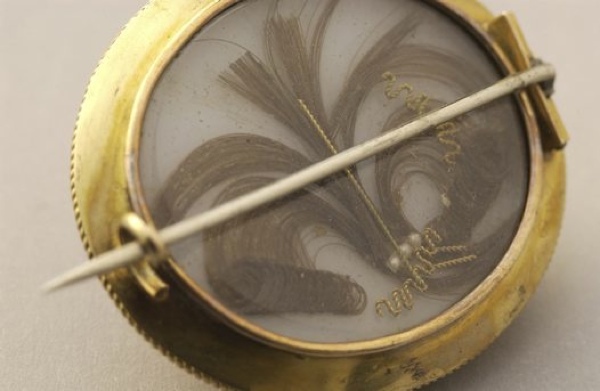 Such items as lockets, brooches, rings and even locks of hair were known to be coveted. 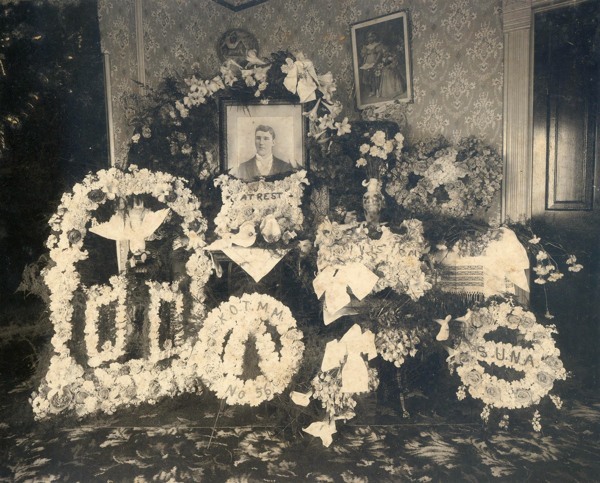 And in an era when photography was still in its infancy, families were also known to take pictures of the deceased mere days after they passed. Called memento mori, which translates to “remember your mortality,” these photos showed the deceased in settings that displayed their personalities. If for example, the person was a carpenter, they would be photographed in a woodshed, if they were a priest, they would be photographed in church. 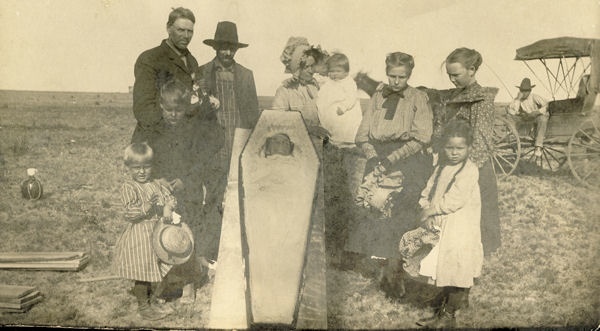 And yes, if the deceased was an infant, the child would be posed with other family members. And in order to ensure that the deceased looked as natural as possible in these photos, the photographer would either prop the deceased eyes open or paint pupils on to the photographic print. Sometimes even a rosy tint would be added to their cheeks. An even more macabre memento was in the sad case of a deceased infant, the family would often keep the dead body until it mummified, then dress the baby’s body and display it as an objet d’art! 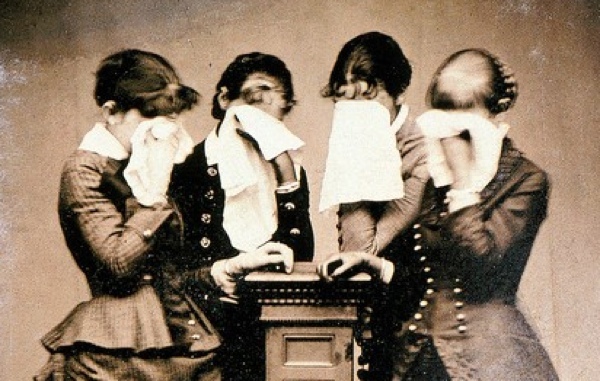 For the Victorians, life was all about proper etiquette, and nowhere was this more evident than at funerals. 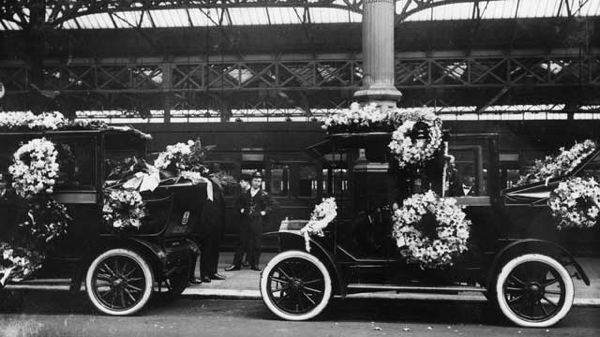 On the way to the burial, there were exactly six pall bearers who walked in threes, “on each side of the hearse, or in a carriage immediately before, while the near relatives directly follow the hearse succeeded by those more distantly connected.” Ladies however, were firmly denied the privilege of following the remains to the grave by strict social etiquette. At the end of the service, the master of ceremonies preceded the mourners to the carriages and assisted the ladies to their places. If the physician of the deceased happened to be in attendance, he was placed in the carriage immediately following the near relatives of the deceased. 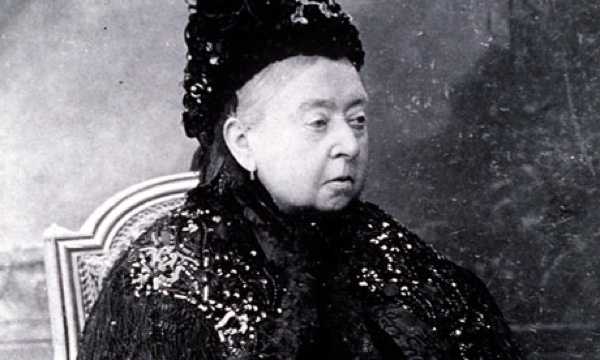 Thanks to Queen Victoria who turned mourning into an art form unto itself, mourning the dead in the Victorian age became a very strict and formal occasion with a great many rules and regulations. When a person initially died, so began the mourning process. Curtains were immediately drawn, clocks were stopped at the time of death and mirrors were covered because of the superstition that the spirit of the deceased could become trapped in the reflective glass. Mourning periods were divided into two time frames: deep mourning and half mourning. A widow was expected to mourn her husband for at least two years during which time she was expected to wear black at all times with her only social agenda being at church. Parents who lost a child were in deep mourning for nine months and half mourning for three months. Children who lost their parents mourned for the same amount of time. The death of a sibling required three months of deep mourning and three months of half mourning. In-laws, aunts, uncles, cousins and other relatives all had mourning periods that ranged from six weeks to six months. As you can probably guess, it would not be unusual for a person to be in mourning sometimes for the better part of a year. Due to the strict adherence to mourning attire, it was quite easy to recognize not only who was in mourning but also for how long. And of course women were the main attractions of this particular fashion show. During the first six months of mourning, the widow was expected to wear a full length dress made entirely of black crepe with white crepe collars and cuffs. On her head she would wear a crepe bonnet with a long crepe veil and a widows cap also of white crepe with black kid gloves on her hands. All kinds of black fur and seal-skin were also worn during this time. After six months, the crepe material was removed and after three months the widows cap was removed. Now the widow could wear a dress made of silk garbardine, plain black grosgrain or crepe trimmed cashmere with jet trimmings. She could also exchange the heavy crepe veil for a lighter one. And while women were slaves to their mourning attire, men however, had it relatively easy. They simply wore their usual dark suits with black gloves and black cravats. At a time when there was little to no standards for sanitation, the burial of the deceased occurred in churchyards many of which in were in the middle of small towns. Over time the churchyards became so overflowing with dead bodies that the surrounding neighborhoods became decidedly unhealthy. The bodies were usually buried in shallow pits beneath the floorboards of chapels and schools. And while churchyards may seem to contain only a small number of gravestones, that was actually however, quite misleading. For example, a churchyard that was only 200 square feet (18.6 square meters) in length would in actuality contain sixty or seventy thousand bodies. By the 1830s however, things changed when barrister, George Frederick Carden decided to create a commercial cemetery much like Paris’s Pere Lachaise, an exquisite park-like cemetery. 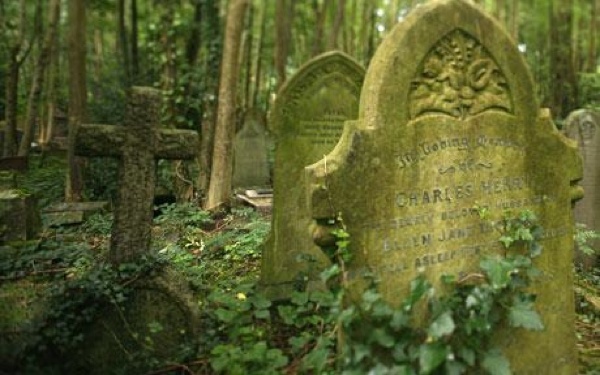 And so it was in 1831 when fifty-five acres of land in London’s Kensal Green was purchased and thus was borne London’s first great cemetery. While the fashion code for mourners was quite detailed and extreme, the rules were quite the opposite for dressing the deceased. The remains of a man were usually “clad in his habit as he lived.” A woman’s remains however, were usually dressed in a white robe and cap while children were dressed in white cashmere robes. As for the casket, it was usually made of hardwood or cast iron especially if the deceased died from a highly contagious disease such as diphtheria or cholera. Typically, the coffin itself would remain plain on the outside save for a swath of black cloth while the inside was usually satin lined. Another addition to the coffin’s interior was usually a bell of some sort. Due to the contagious nature of diseases like small pox, cholera and diphtheria as well as the misdiagnosis of comas for death, unfortunately many people were actually buried alive in the Victorian age. Therefore, as a means of forestalling a not quite dead person’s burial, the installation of bells in coffins became de rigeuer. She was a popular and powerful queen but nowhere was Victoria’s influence felt more deeply than when she mourned the death of her beloved husband Prince Albert. After Albert’s sudden passing from typhoid fever in November 1861, Victoria became deeply depressed and soon turned mourning him into her chief concern for the rest of her days. Shortly after Albert died, Victoria instructed her servants to maintain the Prince’s rooms exactly as he had them when he was alive. They were also instructed to bring hot water to his dressing room for his morning shave just as they always did and to dress in black for the first three years after his death. Victoria however, continued wearing black for the rest of her life. Victoria continued mourning Albert by having statues made of him, displaying his mementoes around the royal palaces and staying secluded in Windsor Castle for many years after his death. 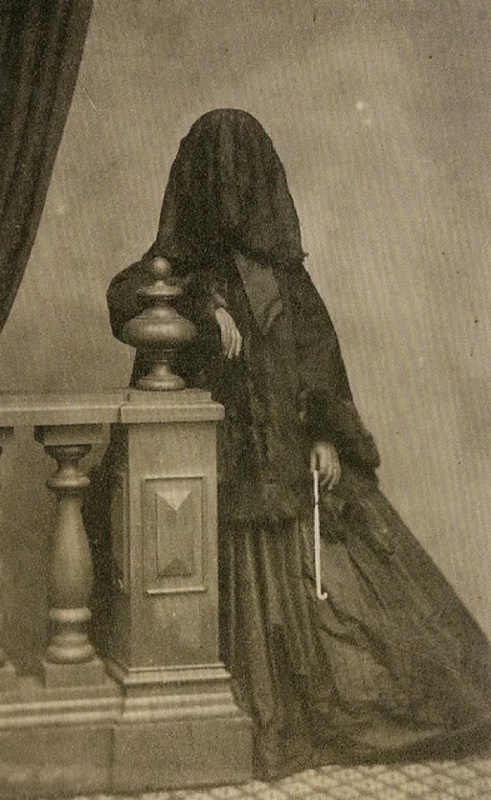 After several years of this, the public became quite concerned about her sanity yet so powerful was her popularity and influence that soon the British public took on her extreme form of bereavement and thus the Victorian way of mourning was borne. While the majority of the above entries showed how the Victorians planned for and feared their mortality, in Victorian Paris there were several night clubs that actually celebrated death. 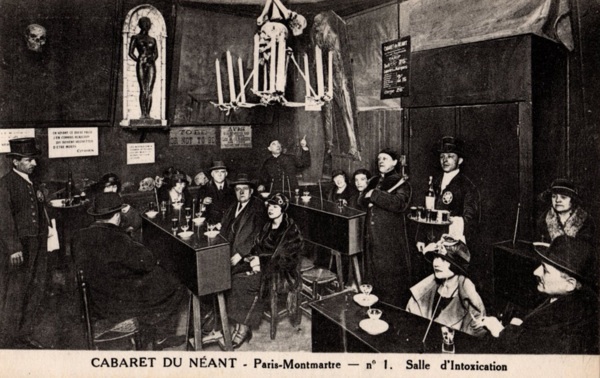 In the neighborhood of Montmartre, one could ponder their mortality in the aptly named Cabaret du Néant (The Cabaret of Nothingness). At this gothic nightspot, visitors were served by monks and funeral attendees who offered drinks named after diseases which were imbibed on top of coffins and caskets. At Cabaret de l’Enfer (The Cabaret of the Inferno), patrons would be greeted by a chorus of voices shouting “enter and be damned, the Evil One awaits you!” At this satanically themed nightclub, a half dozen devil musicians, both male and female, would be suspended in a caldron over a fire, playing selections from Faust as red imps stood with hot irons ready to prod those musicians who dared miss a beat. Throughout the room, other red imps would serve beverages or do somersaults as crevices in the walls would suddenly spew thick smoke and emit odors of volcanoes while flames would suddenly burst from clefts in the rocks. And of course, what would Hell be without Heaven so right next to The Cabaret of the Inferno stood the Cabaret du Ciel (The Cabaret of the Sky). At this heavenly themed bar, patrons were greeted by Dante and Father Time, served drinks by attractive ladies dressed as angels and were entertained by St. Peter himself.